3050 Floorstanding Speaker: One of the best floor standing Speakers you can buy. Visually striking floor standing speakers in four beautiful finishes; including Lacquered Gloss Black and Lacquered Gloss White, the perfectly proportioned 3050 speaker is the flagship of the new 3000 Series speakers. Improved twin 165mm Aramid Fibre/Paper cone drivers deliver exceptional bass extension and midrange openness, whilst the new '2 in 1', Concentric Ring Dome tweeter adds astonishingly clear and smooth high frequencies. Performance is further enhanced, both sonically and aesthetically, by its integral steel 'outrigger' plinth with floor spikes. 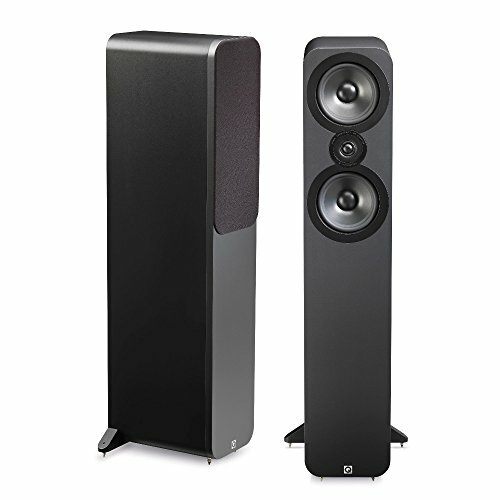 The flagship 3050 Floorstanding speakers are the perfect loudspeaker for larger rooms. It boasts the ultra-low levels of distortion, typically found of speakers costing three or four times its price. Not surprisingly, as a result it delivers truly unrivalled sound quality and value. The perfectly proportioned 3050 speaker is the flagship of the 3000 Series speakers. Improved twin 165mm Aramid Fibre/Paper cone drivers deliver exceptional bass extension and midrange openness, whilst the new '2 in 1', Concentric Ring Dome tweeter adds astonishingly clear and smooth high frequencies.